The primary reason why phones are invented is that of communication. Life is easier when you can easily contact people, especially on important occasions. Imagine what would happen if we were still living in a world where our messages are delivered by pigeons? But, along with the convenience comes consequences. Sometimes, we do not want to contact everyone. They could be an ex-girlfriend who wants her old t-shirt back. They could be the previous employer who refused to give you a raise but still wants you back to the company. In some cases, they could be life-threatening callers. But the most unwanted calls are from marketers who ask you for five minutes of your time but actually talk to you on the phone for an hour. Whatever the reason is, sometimes we do not want specific people to call us. And it’s alright. Our phone is so smart that they understand this need of privacy. Most phones actually come with call blocking feature. 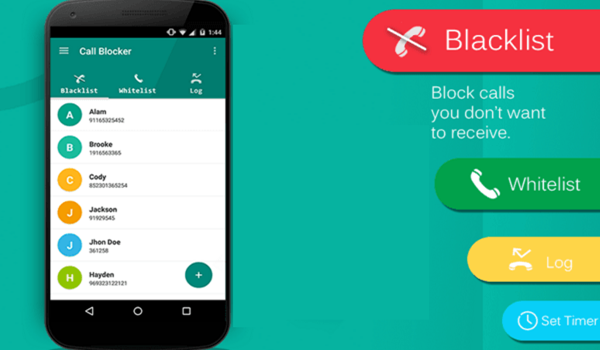 In this blog, we will discuss how to block a number on Android phones. 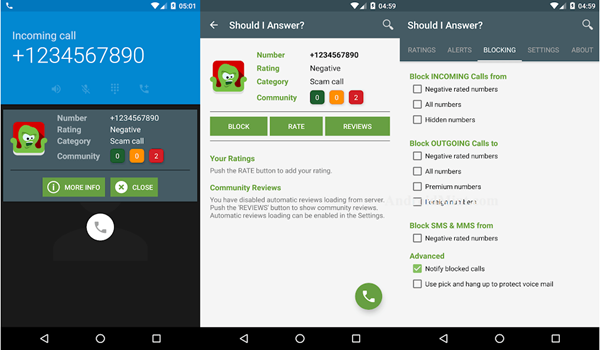 What Happens When You Block a Number on an Android Phone? When you block a number, what actually happens is when that number sends you a text message, it will appear sent on their end, but you won’t receive it. In cases of phone calls, all the calls from that number will be routed to your voicemail where there is a blocked message folder. If you want to check those blocked calls you can go to your voicemail inbox. When the number calls, you won’t receive a notification of the call from them. Most of the major phone providers have call blocking services. You can call their customer service about it. This is the most systemic way to do it. However, some service providers have a limitation for this service. Some set a limit to the numbers allowed to be blocked. Some only allow it as a feature for a specific plan. And some do it depending on the type of device you use. Search and select the number you want to block. On the top right corner of your screen, look for “More”. If you want to edit this list, you can go to Settings, then select Call Settings, go to All Calls and you will find the Auto Reject section. Another leading manufacturer of Android phones is LG. The idea is similar but the feature on the device is different. But we will show you how to block numbers on your LG phone. On the top right corner of your screen tap the three dot icon. Tap the “+” button in order to add the number to the numbers you want to be blocked. If you want to edit your device’s blocked list, you can go to the People app. 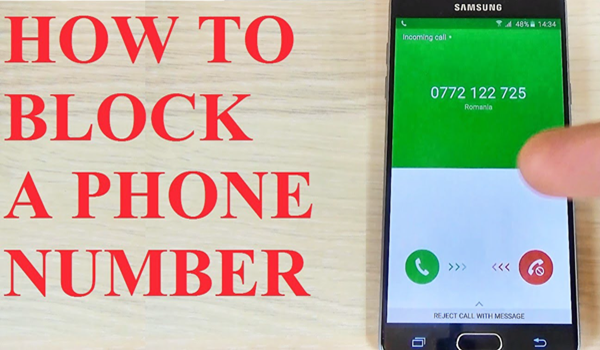 What’s the next best way to block a number from calling or texting your Android phone? Yeah, you got it. There must be an app for it! The Mr Number app is free on Google Play Store. (It is also ad-free!) This app helps you clean up your call logs from annoying calls and clogging your inbox from an unwanted text. Which means, this app also helps you get rid of spam? All these while blocking contacts, silencing them and even make your phone inaccessible. What we like best about this app is that it comes with a Remote Lookup feature. So what is this feature all about? Well, it only allows you to find information about an unknown caller in the U.S. You can look up 20 unknown numbers for free, and if you want to look up more, it comes in the premium for $1. Another great feature of this app is the Business Caller ID. If you are the type who receives calls from business lines, then this app is perfect because it shows you information on people or callers who are using business lines. We know you think this is a good app. We will show you how to use it. From your Google Play Store, download, install, and open the Mr. Number app. Verify your country. Select your country with your country code. Enter your phone number and then tap “OK” to continue. To start using the call blocking feature tap the “No” or block symbol. You can access the blocked list from the upper right portion of the screen. The other tab under your block list is the exceptions tab. It basically lists contacts that will not be blocked or redirected. If you want to receive calls from important numbers, make sure that their numbers are listed under this tab. There’s another way you can block numbers on Mr. Number, and it’s through the app’s main screen. Go to the Recent tab, which shows the history of received calls and text. Tap the “Menu” button beside each log entry. Then select “Block Number”. A popup will appear and ask you if you want to put the number under hang up or voicemail. You can also mark it as spam. A notification will appear when Mr. Number has intercepted a blocked contact. You can access the Blocked History tab if you want to check the history of blocked contacts on your device. 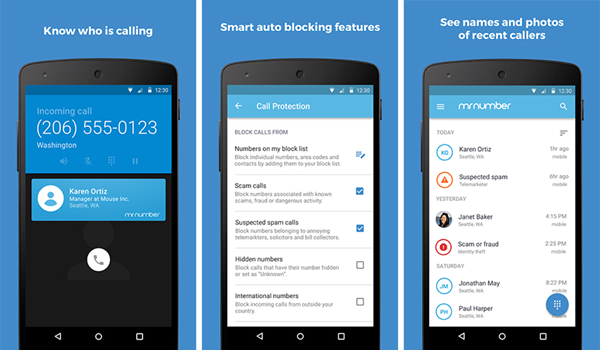 From your Google Play Store, download, install, and launch the Call Blocker app. When you get to the app’s main menu, tap the “Blocked Calls” button. And then tap the “add” button which is symbolized by an icon of paper with a check mark. The app will give you your “Blacklist” and “Whitelist” tabs. Contacts on Blacklist will be blocked and Whitelist contacts are exempted. Tap “Add Number” to add a contact. Google Play Store has not run out of app suggestions for people who want to block certain numbers. Another helpful app is Should I Answer. This app sounds interesting because it is. It allows you to rate your contacts based on importance when important meaning the phone notifies you if the number tries to contact you. Find out the features by installing this app using the following instructions. Download the app from Google Play Store, and then open it. On the main screen, you will see the Your Rating tab, just tap on it. Tap the “+” icon in the bottom-right corner of the screen. Enter a phone number you want to block, then scroll down and tap Select Rating. Tap Negative in order to add your entered phone number to the block list. Tap Save at the bottom of the screen to save your preferences. Recommend: Although we often receive harassing calls in our lives, there are still many phone numbers of friends and family in our mobile phones that are worth contacting. If you accidentally delete other important contacts in your phone while blocking a number or for other reasons, you may be sad. Don’t worry!. there is a very powerful Android data recovery software that can help you quickly recover deleted contacts from Android.